We are pleased to offer a selection of kits. 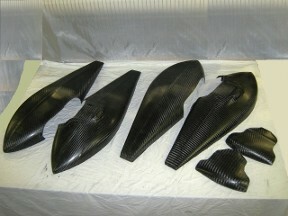 Eagle Fairings Kits - 25% to 35% lower then factory price - call for price and ask us about carbon fiber options. Great way to save money by assembling and finishing parts yourself! 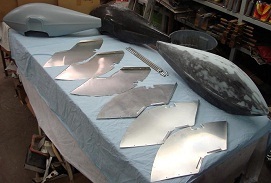 You get both halves of the wheelpants and a brake cover for both left and right sides, six pieces in all plus the fiber glass tape needed to assemble the wheel pants. Adhesives not included.